This step is similar to the decision of the Netherlands, which at the same time started distributing iodine tablets – the main type of body protection, in particular, protecting the thyroid gland when exposed to radiation – to three million citizens. The excitement of the Germans and the Dutch caused two nuclear power plants in Doel and Tianj, located on the territory of Belgium, but very close to the borders of neighboring states. These two nuclear power plants built in the 1970s have been causing some concern for some time. It is no accident, therefore, that the decision of Aachen and The Hague came a few months after the publication of scientific research and investigations that cast light on the security conditions at two Belgian plants. For more than one year the international scientific community has been asking questions about the causes of cracks in metal walls, the thickness of 20 centimeters, the vessels under the pressure of the third reactor at the nuclear power plant in Doele and the second reactor at the nuclear power plant in Tianj. Among other things, a study by two professors of the famous University of Leuven René Boonen and Jan Peirs argued that the official explanations provided by the Belgian Federal Agency for the Control of Atomic Energy, justifying the increase in the number of these cracks and their sizes, are unsatisfactory with scientific point of view. Vessels of reactors are cracked, cracks continue to arise and expand and can cause an atomic catastrophe. 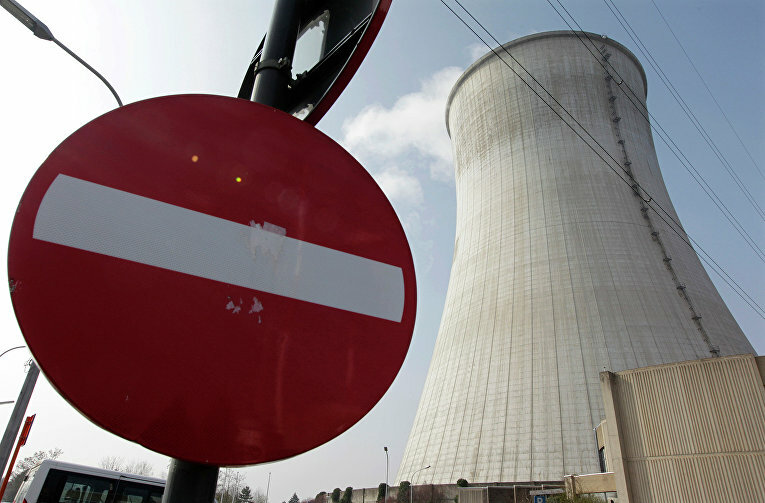 In fact, during the second round of inspections, as many as 13047 cracks were registered at the nuclear power plant in Doel and 3149 in Tianj, which corresponds to a twofold increase in their number in comparison with the figures of two years ago. But that is not all. The largest cracks – which, fortunately, run parallel to, and not perpendicular to the walls – in 2014 were no more than four centimeters, and now make up as many as nine. According to Bogerts – who in this issue disputes the official version of the Belgian authorities who repeatedly claimed that it was about previously existing cracks, and not identified in previous inspections – such an increase in cracks can be explained “only by the growth of cracks during work.” This theory is even more worrisome due to the fact that after each inspection, reactors have always received a work permit. When our editorial board contacted the federal agency, it did not provide any answers and explanations. However, this is a rather delicate matter, since if all the cracks are connected, there may be a leakage of material inside the reactor, which will lead to the most unimaginable consequences. In particular, it should be said that the Doel NPP is built on the periphery of the city of Antwerp, that is, a densely populated center numbering hundreds of thousands of inhabitants. A few kilometers from the reactors, in addition, extends a huge port with petrochemical production, one of the largest in Europe, standing next to the nuclear power plant. This nuclear power plant, according to environmental groups and an increasing number of scientists, represents the most real time-bomb in the heart of Europe. This causes concern for the Dutch and Germans, as well as for an increasing number of Belgians.